Michigan will be without offensive lineman Jack Miller, and Graham Glasgow at least for the start of the 2015 season, leaving two holes in the already questionable offensive line. 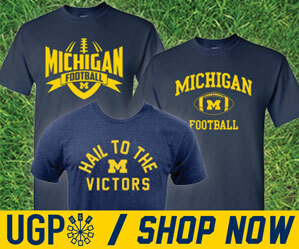 Luckily for the Wolverines, they have one thing on their side to help make the line productive this upcoming season. Last season, Michigan started the first true freshman a left tackle in school history, Mason Cole. Cole had a great year, and held down his spot the entire season despite many expecting him to lose it after a few games. This year, it looks like Cole may take on an Alabama, Barrett Jones role, moving inside, way inside. Last week during spring practice Cole took first team reps at center. Jones was a star tackle for the Crimson Tide in 2011, winning the Outland Trophy, given to the best overall offensive lineman in the country. The next season, due to needs Jones moved inside to center, where he won the Rimington Trophy, given to the best center in the country. Obviously, Cole did not win the Outland last season, but he did have a strong season at left tackle, and proved to be a formidable replacement for Taylor Lewan. With Cole lined up at center, the Wolverines turned to Logan Tuley-Tillman to take over the left tackle spot, at least during spring practice. 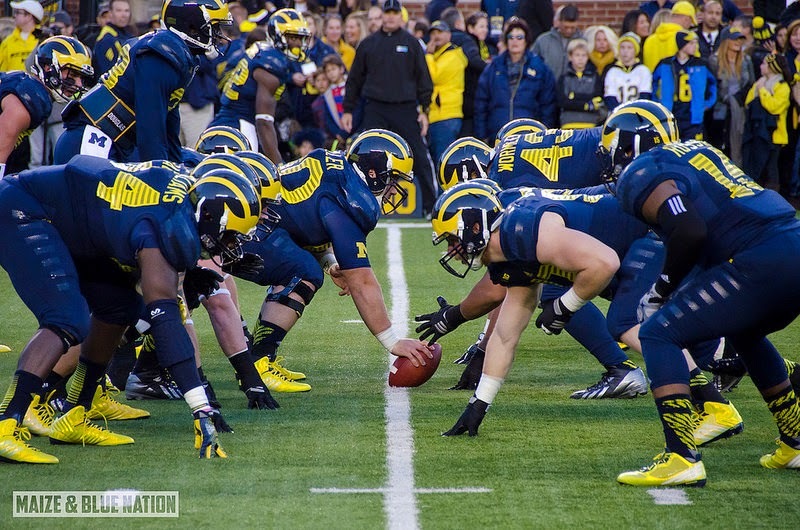 The Wolverines also lined up Erik Magnuson at left guard, Ben Braden at right tackle, and Kyle Kalis at right guard. All three of those offensive lineman have played multiple positions in their collegiate careers, and are more than capable of jumping around and switching positions if need be. The Wolverines will also welcome Jon Runyan Jr. in the fall, an offensive lineman who possess the size to be a versatile lineman, and move inside and outside, as well Nolan Ulizio who can play multiple positions. The versatility each lineman brings to the table will help this group grow this season, and get better. The biggest upside is if an injury does happen to occur, anyone can step in and take over, no matter which position on the line it is. That is something all college football programs wish to have, but only few can actually do.